Employment Supports – CHI Centers, Inc.
Our employment supports enable people we support to work under contracted jobs at the Federal, State, and local levels. CHI has contracts with Federal, State, and County Governments to provide specific services for a variety of facilities, including MARC stations, Courthouses, Maryland State Police barracks, and Army posts and barracks. Services are provided by small, trained crews of two to four workers with and without intellectual disabilities, all of whom make minimum wage or higher. Crews are supported by supervisors on site, as well as coordinators who manage the sites and are on site at least once a week to provide technical assistance and quality inspections. CHI provides transportation to and from each contract site. This employment model is designed to create a path to community based competitive employment. Jean Lozama has been employed with Employment Supports for 21 years. For many of those of those years, he worked part-time as a Stocker and Bagger at Giant and as a custodian on a crew. In 2017, Jean took a part-time evening custodial job at a Montgomery County Courthouse. Within 4 months, he was promoted to the full-time position of Day Porter. He was responsible for maintaining the offices and restrooms of Judges, Attorneys, and Bailiffs in the 150,000 square foot building until the contracts end. Jean has shown remarkable growth. As a person, he has the developed a desire to work and make his own living and as an employee, he has developed a strong work ethic that helped him garner a promotion within a short period time. 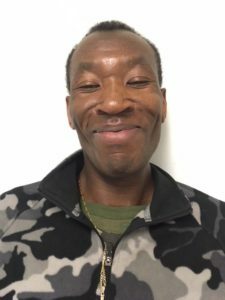 With his dedication and hard work, Jean has proven that his disability has not hindered his ability to earn a competitive wage that allows him to live a productive and enjoyable lifestyle. For persons seeking employment supports please call us at 301-445-3350 or email us at info@chicenters.org.